The Ballets Russes has engaged people for 100 years, ever since Russian-born Sergei Diaghilev created this dynamic avant-garde company. Diaghilev brought together some of the most important visual artists of the 20th century--Pablo Picasso, Henri Matisse, AndrŽ Derain, Robert and Sonia Delaunay, Georges Braque, Giorgio de Chirico, Natalia Gonchorova and Mikhail Larionov, and more--who worked as costume and stage designers with composers such as Igor Stravinky, choreographers such as Michel Fokine, and dancers such as Vaslav Nijinsky, infusing new life and creative energy into the performing arts of the time. Premiering in Paris, the Ballets Russes, for the brief period of its existence (1909-1929), created exotic, extravagant, and charming theatrical spectacle but also critical discussion and technical innovation, as well as exuding glamour--and often creating scandal--wherever it appeared. 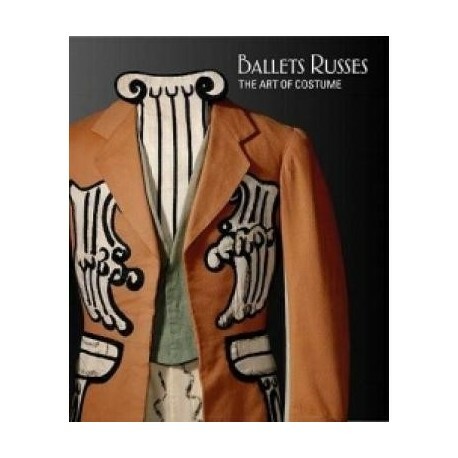 The costumes featured in this book are drawn entirely from the National Gallery of Australia's world-renowned collection of Ballets Russes costumes and ephemera. Through the costumes, drawings, programs and posters, the visual spectacle of the Ballets Russes is brought back into view for a contemporary audience to appreciate the revolution it was and the ongoing influence it continues to have today. This book is a must for anyone interested in the performing arts, the intersection of art and design, and costume and fashion.